OSX El Capitan: Countdown to Mac iOS. When you think of Apple what kind of company do you think they are? Many will answer that they’re a technology company, some a computing company, but there are precious few who recognise them as a hardware company. Whilst they may run large non-hardware enterprises like the App Store and iTunes these all began their lives as loss-leaders for their respective hardware platforms (the iPhone and the iPod). OSX didn’t start out its life in that way, indeed it was long seen as the only competitor to Windows with any significant market share, however it has been fast approaching the same status as its iCompanions for some time now and the recently announced El Capitan version solidifies its future. I haven’t covered an OSX version in any detail since I mentioned OSX Lion in passing some 4 years ago now and for good reason: there’s simply nothing to write about. The Wikipedia entry on OSX versions sum up the differences in just a few lines and for the most part the improvements with each version come down to new iOS apps being ported and the vague “under-the-hood” improvements that come with every version. The rhetoric from Apple surrounding the El Capitan release even speaks to this lack of major changes directly, stating things like “Refinements to the Mac Experience” and “Improvements to System Performance” as their key focus. Whilst those kinds of improvements are welcome in any OS release the fact that the last 6 years haven’t seen much in the way of innovation in the OSX product line is telling of where it’s heading. The Mountain Lion release of OSX was the first indication that OSX was likely heading towards an iLine style of product with many iOS features making their way into the operating system. Mavericks continued this with the addition of another 2 previously iOS exclusives and Yosemite bringing Handoff to bridge between other iOS devices. El Capitan doesn’t make any specific moves forward in this regard however it is telling that Apple’s latest flagship compute product, the revamped and razor thin Macbook, is much more comparable to an upscale tablet than it is to an actual laptop. In true Apple fashion it doesn’t really compare with either, attempting to define a new market segment in which they can be the dominant player. If it wasn’t obvious what I’m getting at here is that OSX is fast approaching two things: becoming another product in the iOS line and, in terms of being a desktop OS, irrelevance. Apple has done well with their converged ecosystem, achieving a level of unification that every other ecosystem envies, however that strategy is most certainly focused on the iOS line above all else. This is most easily seen in the fact that the innovation happens on iOS and then ported back to OSX. This is not something that I feel Apple would want to continue doing long into the future. Thus it would seem inevitable that OSX would eventually pass the torch to iOS running on a laptop form factor, it’s just a matter of when. This is not to say it would be a bad thing for the platform, far from it. In terms of general OS level tasks OSX performs more than adequately and has done so for the better part of a decade. What it does mean however is that the core adherents which powered Apple’s return from the doldrums all those years ago are becoming a smaller part of Apple’s overall strategy and will thus recieve much less love in the future. For Apple this isn’t much of a concern, the margins on PCs (even their premium models), have always been slim when compared to their consumer tech line. However for those who have a love for all things OSX they might want to start looking at making the transition if an iOS based future isn’t right for them. 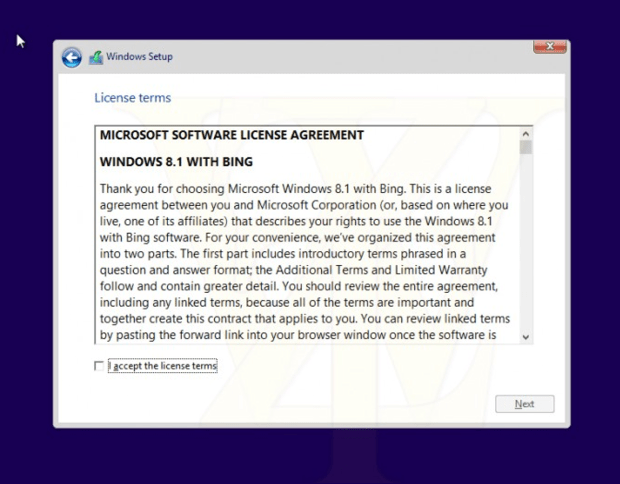 Windows 8.1 With Bing: The First (Legal) Free Version of Windows? As a poor student the last thing I wanted to pay for was software. Whilst the choice to pirate a base operating system is always questionable, it’s the foundation on which all your computing activities rely, it was either pay the high license cost or find an alternative. I’ve since found numerous, legitimate alternatives of course (thank you BizSpark) but not everyone is able to take advantage of them. Thus for many the choice to upgrade their copy of Windows typically comes with the purchase of a new computer, something which doesn’t happen as often as it used to. I believe that this is one factor that’s affected the Windows 8/8.1 adoption rates and it seems Microsoft might be willing to try something radical to change it. Rumours have been making the rounds that Microsoft is potentially going to offer a low cost (or completely free) version of their operating system dubbed Windows 8.1 with Bing. Details as to what is and isn’t included are still somewhat scant but it seems like it will be a full version without any major strings attached. There’s even musings around some of Microsoft core applications, like Office, to be bundled in with the new version of Windows 8.1. This wouldn’t be unusual (they already do it with Office Core for the Surface) however it’s those consumer applications where Microsoft draws a lot of its revenue in this particular market segment so their inclusion would mean the revenue would have to be made up somewhere else. 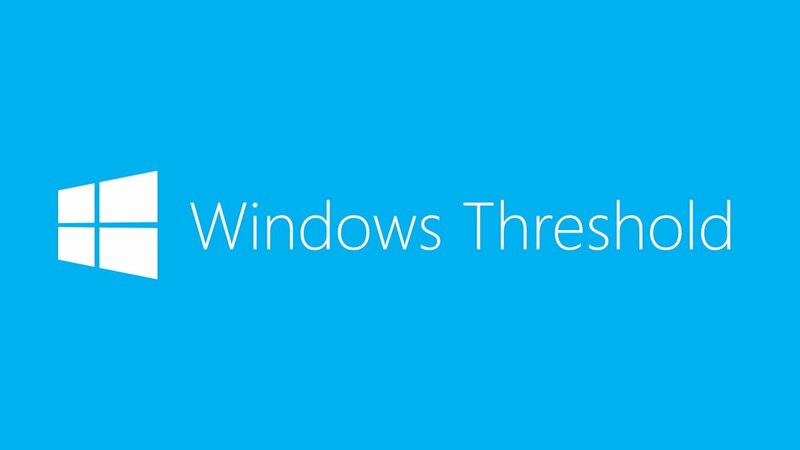 Many are toting this release as being targeted mostly at Windows 7 users who are staving off making the switch to Windows 8. In terms of barriers to entry they are by far the lowest although they’re also the ones who have the least to gain from the upgrade. Depending on the timing of the release though this could also be a boon to those XP laggards who run out of support in just over a month. The transition from XP to Windows 8 is much more stark however, both in terms of technology and user experience, but there are numerous things Microsoft could do in order to smooth it over. Whilst I like the idea there’s still the looming question of how Microsoft would monetize something like this as releasing something for free and making up the revenue elsewhere isn’t really their standard business model (at least not with Windows itself). The “With Bing” moniker seems to suggest that they’ll be relying heavily on browser based revenue, possibly by restricting users to only being able to use Internet Explorer. They’ve got into hot water for doing similar things in the past although they’d likely be able to argue that they no longer hold a monopoly on Internet connected devices like they once did. Regardless it will be interesting to see what the strategy is as the mere rumour of something like this is new territory for Microsoft. It’s clear that Microsoft doesn’t want Windows 7 to become the next XP and is doing everything they can to make it attractive to get users to make the switch. They’re facing an uphill battle as there’s still a good 30% of Windows users who are still on XP, ones who are unlikely to change even in the face of imminent end of life. A free upgrade might be enough to coax some users across however Microsoft needs to start selling the transition from any of their previous version as a seamless affair, something that anyone can do on a lazy Sunday afternoon. Even then there will still be holdouts but at least it’d go a long way to pushing the other versions’ market share down into the single digits. Google’s Android Review: The Best of Both Worlds. For the past year I was somewhat of an anomaly amongst my tech friends because I choose to get an iPhone 3GS instead of one of the Android handsets. The choice was simple at the time, I had an app that I wanted to develop for it and needed something to test on, but still I copped it sweet whenever I said something positive about the platform since I’d usually be the only one with an Apple product in the area. When it came time again to buy a new phone, as I get to do every year for next to nothing, I resisted for quite a while, until one of my friends put me onto the Samsung Galaxy S2¹. The tech specs simply overwhelmed my usual fiscal conservativeness and no less than a week later was I in possession of one and so began my experience with the Android platform. The default UI that comes with all of Samsung’s Android handsets, called TouchWiz, feels uncannily similar to that of iOS. In fact it’s so familiar that Apple is suing Samsung because of it, but if you look at many other Android devices you’ll see that they share similar characteristics that Apple is claiming Samsung ripped off from them. For me personally though the Android UI wins out simply because of how customizable it is allowing me to craft an experience that’s tailored to my use. Widgets, basically small front ends to your running applications, are a big part of this enabling me to put things like a weather ticker on my front page. The active wallpapers are also pretty interesting too, if only to liven up the otherwise completely static UI. What impresses me most about the Android platform is the breadth and depth of the applications and tweaks available for the system. My first few days with Android were spent just getting myself back up and running like I was on my iPhone, finding all the essential applications (Facebook, Twitter, Shazam, Battle.net Authenticator, etc) and comparing the experience to the iPhone. For the most part the experience on Android is almost identical, especially with applications that have large user bases, but some of them were decidedly sub-par. Now most would say that this is due to the fragmentation of the Android platform but the problems I saw didn’t stem from those kinds of issues, just a lack of effort on their part to polish the experience. This more often happened for applications that weren’t “Android born” as many of the native apps were leaps and bounds ahead of them in terms of quality. The depth of integration that applications and tweaks can have with the Android platform is really where the platform shines. Skype, for example, can usurp your outgoing calls and route them through their network which could be a major boon if you’re lucky enough to have a generous data plan. It doesn’t stop with application integration either, there are numerous developers dedicated to making the Android platform itself better through custom kernels and ROMs. The extra functionality that I have unlocked with my phone by installing CF-Root kernel, one that allows me root access, are just phenomenal. I’ve yet to find myself wanting for any kind of functionality and rarely have I found myself needing to pay for it something, unless it was for convenience’s sake. Android is definitely a technophile’s dream with the near limitless possibilities of an open platform laid out before you. However had you not bothered to do all the faffing about that I did you still wouldn’t be getting a sub-par experience, at least on handsets sporting the TouchWiz interface. Sure you might have to miss out on some of the useful apps (like Titanium Backup) but realistically many of the root enabled apps aren’t aimed at your everyday user. You still get all the benefits of the deep integration with the Android platform where a good 90% of the value will be for most users anyway. Despite all of this gushing over Google’s mobile love child I still find it hard to recommend it as the platform for everyone. Sure for anyone with a slight technical bent it’s the platform to go for, especially if you’re comfortable modding your hardware, and sure it’s still quite usable for the majority who aren’t. However Apple’s platform does automate a lot of the rudimentary stuff for you (like backing up your handset when you sync it) which Android, as a platform, doesn’t currently do. Additionally thanks to the limited hardware platform you’re far less likely to encounter some unknown issue on iOS than you are on Android which, if you’re the IT support for the family like me, can make your life a whole lot easier. Android really impressed me straight from the get go and continued to do so as I spent more time getting to know it and digging under the hood to unlock even more value from it. The ability to interact, modify or outright replace parts of the underlying Android platform is what makes it great and is the reason why it’s the number 1 smart phone platform to date. As a long time smart phone user I feel that Android is by far the best platform for both technophiles and regular users alike, giving you the usability you’ve come to expect from iOS with the tweakability that used to be reserved for only for Windows Mobile devices. Now I just need to try out a Windows Phone 7 device and I’ll have done the mobile platform trifecta.